Though blindsided by the relevance of her dreams and the strange familiarity of the man within them, Lorraine can’t help but feel a deep-seated intimacy toward Leif. And the more she gets to know him, the more she’s convinced they’ve shared a life together in a time long forgotten. Are the clues to their ancestral past hidden within the contents of the chest or buried deep within their hearts? "I didn't believe it was possible to take Daegan and Mara's incredible love story to another level, but I am extremely pleased to be wrong. The new paths with Leif and Lorraine and the journey back to some very memorable moments with Daegan and Mara are expertly crafted into one extraordinary story. The contemporary version of their fated and reincarnated love reads like new, but with a familiar comfort. All my senses were engaged upon reading this dramatic conclusion to the Emerald Isle Trilogy. The author is phenomenal in bringing to life the sights, sounds, and emotions through well researched descriptions and dialogue. Every word seemed to have a purpose in helping create a beautiful and poetic ending to an unforgettable trilogy. 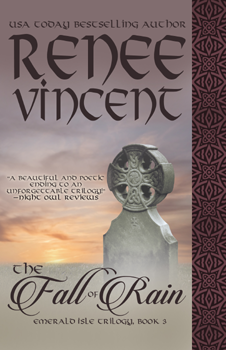 If you've never heard of the name Renee Vincent then you're missing out on quality reading that's worth every second of your undivided attention. It's an escapists dream and I will most certainly be back for more." 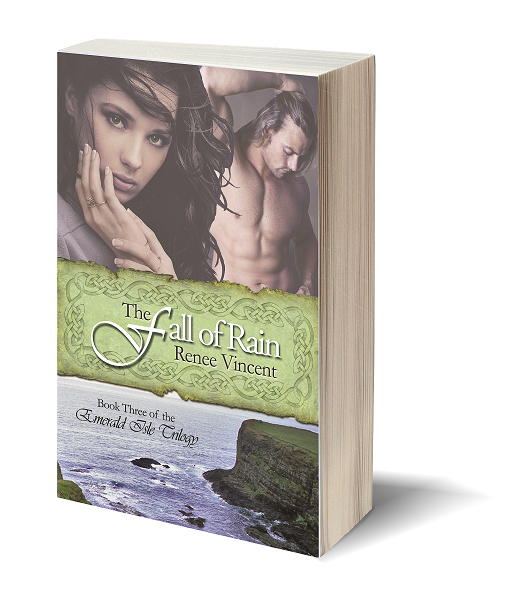 "An ingenious ending to an amazing trilogy, THE FALL OF RAIN, the third novel in gifted author Renee Vincent’s EMERALD ISLE trilogy, is a contemporary romance that will capture your attention from the very first page. Although the previous two books in this series were historical romances, this contemporary novel fits in perfectly. I would advise readers to start with the very first novel in this series; RAELIKSEN, then read MAC LIAM and close it out with THE FALL OF RAIN. A beautifully written story, infused with passion, sexual tension, surprising plot twists, Ireland, reincarnation, an adrenaline-charged plot, humor and romance, this is one you will not soon forget. As Ms. Vincent alternates between the past and present, she brings both vividly to life in a way that only she can. 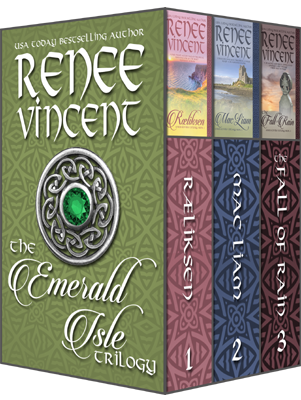 This series has definitely made me a fan of Renee Vincent’s works and is the reason that her books are now on my ‘must read’ list. With the release of THE FALL OF RAIN, this series has become my all-time favorite. Do yourself a favor and do not miss it!" 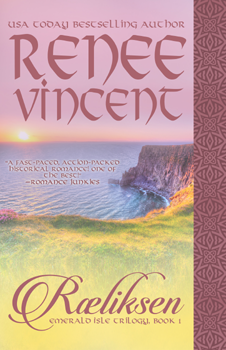 Viking hero from Renee Vincent's Emerald Isle Trilogy. "I know for myself I enjoyed the first two books very much. So much so, that I was excited for the third book to come out. Little did I know what book three really had in store for me. OMG doesn’t even cover it. This is my absolute most favorite book of this series. Where the first two take place deep in the past, book three finds us in the present time. How does that work, you may be asking . . . well, I would have never thought it possible until I read it for myself. Taking present time activities and adding in flashbacks from centuries past, this book offers the reader everything; drama, romance, comedy and even mystery. People and things aren’t always what they seem. In fact, you may walk away from this book never looking at that moment of déjà vu the same again. Maybe, just maybe when something feels right . . .we should remember, just who are we to question it? If you enjoy historical romances and love a story with men you would love to sink your teeth into, this is your series to get lost in. Not an ounce of disappointment to found in the pages of these books." "If I was told I only had one word to describe The Fall of Rain (the entire Emerald Island Trilogy, for that matter), it would have to be "FAN-FREAKING-TASTIC!" This story deserves so much more than just a 5 star rating, in my opinion. 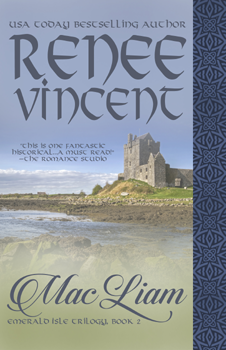 Renee Vincent weaves a tale of everlasting love that transcends the boundaries of time, adding just the right twists and turns to keep you guessing. The Fall of Rain is the perfect ending, wrapping the entire trilogy up into one perfect package. I'm honestly sad that it's over. 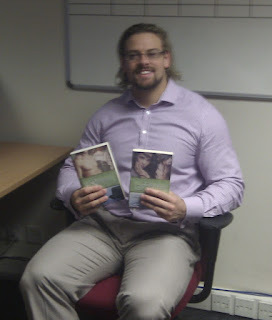 I'm eagerly awaiting to see what literary gem Vincent has in store for us next. "If you fell in love with Dægan in the book Ræliksen then you wont be disappointed when you read The Fall of Rain. You will fall in love with Leif too. I was crying happy tears when I finished reading this book. Author Renee Vincent made this Dægan Lover very happy. I'm very happy how she ended this wonderful trilogy."